New book, 128 pages, 60 pages of in action photos, 60 pages of walkaround details. 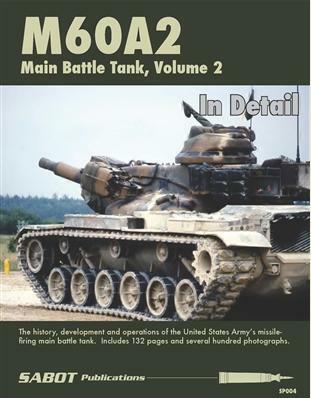 The M60A2 in Detail volume 2 is the second part in a two-part series on the short-lived but highly interesting U.S. Army missile-firing main battle tank. This book contains hundreds of full color photographs in 60 pages of the vehicle in the field in Germany between 1978-1980, and another 60 pages of walkaround detail shots. These two volumes area must-have for the Dragon, Academy and the AFV Club 1/35 scale model kits of this tank. This item was added to our catalog on Sunday 18 December, 2016.